So… The moment of truth has arrived in the final installment of What in the World?! Wednesday. Just be warned – I tend to have a lot of fun owning the objects of this week’s photo. So, just in case anyone is offended, I’ll apologize in advance. And I’ll mostly mean it. 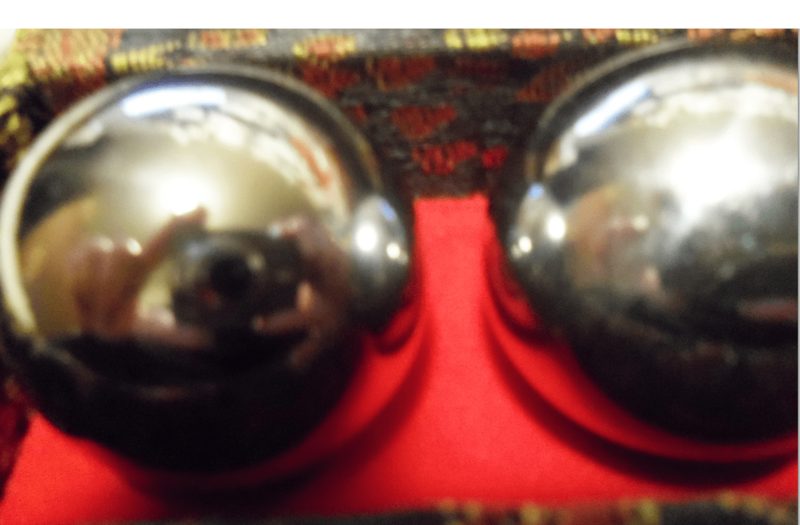 I would like to introduce you to….my balls. Until a few years ago, I didn’t own any balls, but I guess my mom thought I needed some. I guess she thought my sister, and my brother’s wives needed some, too, so that’s what she bought us for Mother’s Day. Now all four of us have balls. Know what? They jingle. This is me, playing with my balls. While I was trying to get a picture, I dropped one on the floor and had to wash it. Anyone who knows me even a little bit knows I have a thing about germs….and that there’s no way I’d ever play with dirty balls. This is the cute little box I keep my balls in when I’m not playing with them. This entry was posted in Love and tagged A Fine Mess, balls, Chuck Berry, Enza, game, Kristy K. James, My-Ding-A-Ling, Reluctant Guardian, The Daddy Pact, The Stranger In My Head. Bookmark the permalink. I had some of those balls, but my daughter stole them. Said she needed them to relieve stress. Yep, that’s what they’re for. If you rub them together they make a nice humming sound that is supposed to affect your zen. I miss my balls. Really I do. Ha ha! We have a few boxes of those. I should have recognized it. Darn it! That is a naughty, naughty song. Emma, me too. Kristy, beware the irrevocable psychological damage you may cause your son! 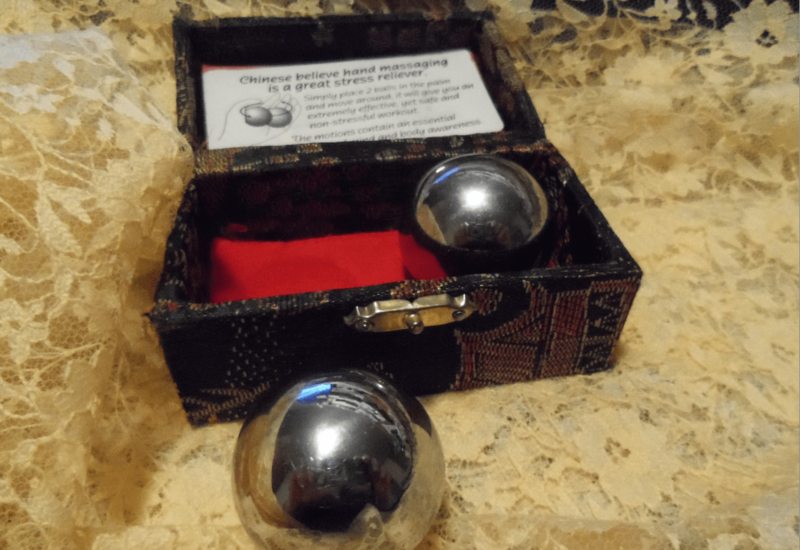 I have those balls too, more for decorative purpose than for actual use. That sounds so bad! 🙂 Ha ha.